Amazing Love Letters to My Girlfriend: You have the best amazing love letters to your girlfriend all in one post. Do you need some sweetest love letters for your girlfriend? Yea, you do. That’s why you are on this page right now. Have you noticed that sometimes text messages are not enough to communicate all you feel deep inside your heart? That’s why you should send these set of amazing love letters to the girl your heart beats for, all the time. In these romantic love letters to my girlfriends, words might not be enough to express the feeling inside of you, but definitely, there are enough words to make your point on how much you love her. 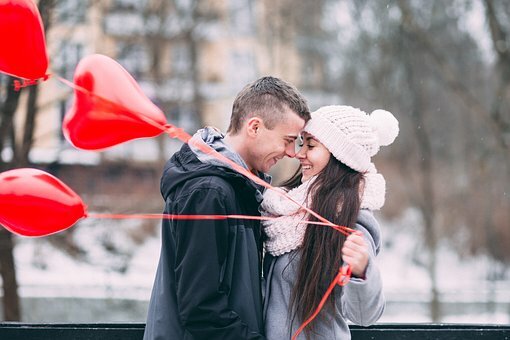 You don’t need to keep the feeling inside of you anymore because these amazing love letters to my girlfriend has everything you need to say I love you to that special woman. Are you friends with the right set of words to say? If your answer is no, then we got you covered with these love letters to my girlfriend. The times we shared remain in my memories. No day goes by without these memories playing in my head. When you are around me, every other thing loses its value because you are priceless. I can’t imagine replacing you with anything in the world because nothing can fit in perfectly the spot you currently occupy in my heart. I thank God for bringing you into my life. It is the best thing that has ever happened to me. I want to thank you endlessly for always helping me grow. I love you with all of me for the light you brought into my life. Loving you has been the best thing I have ever done. Loving you has been the most exciting thing I wish to do all the days of my life. I now believe that we are meant for each other because we are cute together. Nothing will come between us because I can’t bear the torture of being without you ever again. I want you to know that you are better than the rest. Keep being my baby, keep being the one that makes my heart beat and I will love you without stopping. I will love you every day like it will be my last. There is no better place in the world I wish to be than with you. I find the joy everyone seeks for when I am with you. If there is something I wish to do, you know I would want to do it with you. If there is someone I want to love, it will be you. If there is someone I want to be stuck with, you are the only person that comes to mind. I want you to know that I love you from the inside out and I am willing to spend the rest of my life proving to you that the love I feel for you is stronger than the electromagnetic force. I love you so much, and I know the combination of you and me will make a perfect couple. I want this letter to be more of an appreciative piece. It will be both a responsive and romantic text because every stage of my journey has been fantastic, all thanks to you for giving in your all to make the relationship blossom. Thank you for seeing all my imperfections but yet found me worthy to be your partner. I appreciate you for every time you have gone out of your way to make our relationship work. I would not feel this bundle of happiness if you weren’t in my life. Every time I look at your face, I see the lady that has everything it takes to be my woman forever. I love you. Having you in my life is a dream come true because I have prayed and dreamed about a relationship like this. I have always wanted something so real until you brought it to me. I can’t stop feeling lucky for your presence in my life. You have proven to me that a lover can be a best friend. You are a friend worth keeping until the very end, and you have given me a relationship that I will cherish all through my life. I want you to know that you mean so much to me and I love you with every energy in me. The happiness you brought in my life compares to nothing. This particular kind of joy softens my heart and melts my soul. When I imagine how life would be without you, I feel afraid, but when I think of the beautiful memories we have created together and the ones we will create in the future, I feel like a year adds to my lifespan. I hope you feel how much I love you and know that I won’t stop loving until the end of my days. It is difficult being alone ever since I spent some moments with you. Looking right into your eyes sometimes send butterflies down my stomach. I get nervous talking to you, and it is a mixture of happiness and peace of mind. I feel like I am on top of the world. I can’t wait for you to place your lips right on mine, It makes me feel light like the air and wakes up all the nerves in my body. I have never been so sure of what I want to do in life, and it is to spend the rest of my life loving you as no man has ever done. I want to love you more than anything in the world. I want you to feel so special as an angel that you are. Even if I lose the memory of everything, the memory of your beautiful face is far from vanishing. The way you touch takes me to a different level, and I don’t want to miss the feeling it gives to me. I love you with the whole of my heart. Every day I spend with you is added to the long list of favorite days you have given me in the past. I will keep loving you until my heart stops beating. If other women are special, then you are extra special. My life without you is like a horror movie. You made my dreams come true, and you brought the world I dreamt of to me. I will never stop thanking God for creating such an intelligent and adorable lady. For bringing you into my life, I will always believe in God to grant all my wishes. You deserve all the best things in life because you have given me your very best. I won’t stop at anything in making myself better for you. I love you always. Not seeing you every day is the most tiring situation I don’t pray to pass through again. I can’t see you when I want, but I feel you in my heart. The love I feel for you is not shaken by the miles in between us. I will always cherish the memories we have created and hope for the day I will set my eyes on you. I have missed not just you but your lips, your smile, your body and everything about you. Until that day comes, I want you to know that my heart beats for you. You know that you come first in everything I do. Your heart should tell you that you are the only person in the world that makes my life worth living. You are my number one, and I will give up myself to love you the way you deserve. I am happy I found you because you are the true love I have been searching for, I want to assure you that we have a bright future together because the thoughts of you never leave my mind. I can’t wait to see what the near future holds for us. Forever, it will be you against the world and me because no matter what happens, I want you to hold my hands and believe in me. It will always get better. Being in love with you feel good. I have never felt happy doing the very thing I love. I feel okay loving you because I see you in everything I do. Your presence in my life was the only turn around my life needed, and you were right there when I needed you. Thank you for being the beat in my heart and the stars in my sky. I love you endlessly. It is no joke that I see you in my dreams because you are the only one I need. I am not even close to perfection, but I love all your imperfections. The feeling I get from looking at your face is one thing that keeps me glued to you. I don’t wish to miss this feeling for anything in the world. All through the day, I daydream about your soft lips brushing mine and your body touching mine. I wait for the day I will have you all to myself. I will love you tenderly because you are the one I love with every of me. I cannot afford not seeing you all through this day because I might go insane. I must confess that thinking about you is the only thing that keeps me sane. You know how much you mean to me and I am not allowing anything to come in between our love. If at the end of the day, all I can come up with is the love you have for me, I will feel so fulfilled because loving someone and having the person care for you right back is the most exciting thing any human can handle and the most significant achievement anyone can come up. You broke my heart with doubts but I still want you to be around you. I love you with the all in me and I don’t wish this love go to waste. You deserve a better loving and if I am not giving you enough, let me know. I love you as no man has ever done. I love you from the inside out, and I don’t think they know how beautiful you are from the inside. I am fighting for us right now. I believe you are also competing for me too. My love for you is not the regular kind of love you have felt, and you should look into my eyes and see that I love you more than words can explain and more than expression can show. I know that I deserve you, but if you feel otherwise, you should let me know. I love you so much, and I want to have you all to myself. Loving you feels great. You remind me of the blessing in my life. Your voice should be my ringtone because it rings in my head every time I think of you. Can I get you to laugh out loud? It is the most beautiful thing I have ever heard. I love it, and I love you. I mean it when I say it, no man will take you away because my love is here to stay and I would wait a lifetime for you if that is what it makes to have you in my life. You are my everything, my baby girl. You are the only one with the password to my heart. I want you to make good use of it because I don’t want someone else in my life. I want to be the reasons for your smiles and not for your pains. We might be busy chasing our different dreams, but one of my goals is having you in my life forever. You are the one that rocks my world, and I am ready to make you my wife. Having you is a dream coming to reality because my life has felt a different wave ever since. My love for you will never wear out because it is one thing that gets younger as days go by, I love you. I want you to remember today and every other day that you are the best for me. You have stayed with me despite my flaws and loved me unconditionally. No other girl comes close to your beauty. What you mean to me, a scientist can’t even explain. I know that I am in love every time something reminds me of you. How do I cope when everything reminds me of you? How will I stop loving you when you are everything my heart thinks of, all the time. I love you to the moon. The only thing that matters to me is you, and I am ready to do what it takes to make sure you are in my life. You are the sweetest thing I have ever had. Your beauty is out of the world, and I beat my chest every day for accomplishing the enormous task in the whole world. The task of making you mine has been the best thing I have ever done right. I love you more than words can explain. You are the one I need to keep sane. With the whole of my heart, I say I love you. Knowing you are in my life keeps me on top of the world. I can’t explain why I feel this way, but I know it is for the better because loving you has been the most fantastic feeling in my entire life. Sometimes, I lose control of myself trying to show you that you are irreplaceable in my life. I can’t explain all you mean to me in one letter, but I will spend my entire life trying to show you that being with you is the best thing I have ever done. Keep smiling baby, and your smile melts my heart. Keep shining baby, seeing you glow lights up my heart. I love you always. all you give to me is beautiful moments. Cute moments like your face. I get joy when I look at your face in the morning. I feel complete when I hold you in my arms. You brought heaven down to me here on earth. When I call my house, heaven, it isn’t because it is the most beautiful place on earth but because it is a place you remain mine and I want you to know that I love you with every part of me. I love you with every strength in me. You are the sweetest thing I have ever tasted. I don’t care how long it takes because I am willing to be there for you no matter the challenges that lie ahead. Your beautiful face reminds me of the amazing gift of nature in my life. Loving you is the most awesome thing ever, and I can’t get tired of me all through my stay on earth. I love you with every drop of blood in me. You will always be the first thought on my mind when I wake up and the best thing I will forever cherish. Keep being the best. Thinking of you gives me the ginger I need to get my day started. All through the rain and storm, my heart will beat for you because you are the only thing that matters to it, I love you forever. I will never give up on you until you are mine forever. You are the light that brightens my day, and I feel complete knowing you are always there for me. It is you and you alone because I feel okay loving you and I am not leaving you for anything in the world. What you mean to me, no word can explain. When I look into your eyes, I see the heart of the girl every man should die for, a heart so pure and sweet. A soul that gives me the best love in the world. A love that isn’t cheap. I love you. I have never seen a girl that can do the things you do better, and I am ready to give you the whole of my heart. You are my love because when I sleep, I think about you and there is nothing sweeter than dreaming about the most beautiful girl in the world. I love you so much because you have the password to my heart. There is none like you. The things you do and when you do them brings joy to my heart. You always know the right thing to do at the right time. I want you to know that I believe in you at all time and I can’t wait for the day you will take my last name because you make my heart beat. You are the woman of my dreams, and I love you for real. Until the end of my days, you will always mean to me what nobody has been to me. You make me go crazy than you imagine and I am glad I have you in my life. I am never letting you go out of my life because you are the only one for me. I love the feeling I get from loving you. It is the most beautiful thing I have ever felt all through my life. It is clear that loving you adds more years to my life and I am glad to have met you when I did. You are the true love I have been searching for all my life. I found you, I know I have seen the girl that will hold me down for life. I am never leaving you for anything in the world because you make every moment I share with you worthwhile. I love you with all of me. You are my number one in everything I do, and you will always come first as my top priority. I see my future with you, and it is how I want it. I know you love me as well as I love you and you will be in my life forever. Loving you has made all my dreams a reality, and I am sure more than anything that my life will beautiful with you in it. I love you more than anything because I am okay just by seeing you. Thinking of you makes my day perfect. You are my reality queen because you make my dreams come true. I can’t afford to be far from you for long because I might go sick. I understand that loving you might come with a lot of challenges, but I am ready to make things work. We are going to remain this way until the end of time because our love will be unshakable. I must admit that falling in love with you is the most awesome thing ever because you have the most beautiful heart I have ever felt. I will love you from the inside out and with all of my strength. What you mean to me, words can’t explain. I am addicted to the love you shower on me daily, and I must admit that being in love has never felt this good. I need you every second and every minute. Being in love has never felt this good. You bring smiles and peace to me. I count on you to secure my heart from the scary world outside because your love is the only protection I need to make it far. When I wake up and see you by my side, my mind reminds me that I am incomplete without you in my life. I have never loved another this much, and I don’t think I will stop loving you until the end of my days. I hate it when I am far from you because you are the inspiration my life needs. We might fight over things, but that won’t break us. I am ready to be there for you when you need me, and I will stop at nothing to keep you in my life. I love you baby, and nothing is coming in between us. All day long your thoughts are the things that pop up my mind. As long as you love me, my love for you is unshakable. For the first time, I want to fall in love and never stand, and I want to drown in the ocean of your love. My love for you is eternal and it will last a lifetime. I thank God always for making it a possibility for us to meet when we did. It was like he noticed that my life needed a change in that period. Thank you for bringing possibilities into my life. I love the happiness you bring to my heart and the peace you bring to my heart. I love you endlessly. As long as I live, you know that I will love with all of me without holding back anything. I want you close to me because I have never felt so sane with anyone. You will be the queen of my heart, and nothing comes between us. You make me smile more than anything in the world. I need you every day because you give my heart a beat when you are around. If I don’t end up with you in life, I will be the sky without stars. My life is torn apart if you are not there for me. Sometimes, I wish I could explain in little details how much I love you, but words keep failing me. You keep me going, and your voice is one thing that lightens my day. I love you the way no human on earth can. Your beauty leaves me breathless and I can’t afford to spend the rest of my life without you. I know that I am in love with you because whenever I look into your eyes, I see this flame of love. All my best moments are the ones I spent with you and deep down, I know that I am in love with you. How you became so important to me is something I am yet to uncover. Things might not go as we wanted and there might be the effect of distance, but that doesn’t mean that my love for you will dwindle even for a second. My wishes remain. Until the day I sleep and wake up with you as my wife, I won’t feel complete. I love you so much. The feeling I get from your love is beautiful. I have never felt this good in a long while, and I am happy you are in my life right now. When I feel left out, remembering that you are there for me warms my heart. When I feel your touch, I know that I am never alone on this journey of life. Your presence in my life creates more joy in my heart than you can imagine. I love you, and I am lost of ways to say it. I will love you as long as I breathe and I want you to know that. I am madly in love with you, and I want to love you forever. You have given me so much in such a short while. You have instilled in me, the confidence to face whatever life presents me with, I feel so safe knowing that I have this amazing person in the world that cares for me at all time. You are beautiful, and it is incredible how I manage to snap you from the whole world. You are my sunshine now because I am more happy seeing you than seeing the sunlight. I can’t wait for the day the world as a whole will gather to celebrate us. I love you always. My life might be a mess right now but believe in me that I am working hard to make things right. I know things will get better because I met you at the point of no expectation. You have been with me on the rainy days, and I am preparing for the sunny days. You enchant me with your beauty or should I say that I am addicted to you. I got so engraved to you without realizing it, and it is the most beautiful mistake I wish to make over and over. All you do suits me perfectly. I am not blabbing when I say that you are perfect because I have seen so many people who don’t come close to being as impressive as you are. Your love has spread through me, and I can feel it when I sneeze. I love you endlessly because I am yet to find the one that deserves all of my love. I don’t know how else to express myself other than saying that my heart, body, and soul loves you without holding back. You are the only thing I desire at all time. I understand that the world doesn’t owe me anything, but you have always made me know that I deserve to be happy. I have stayed without you for a long while and being with you now makes me understand that life without you will be a mess. You bring smiles to my face and joy to my heart. I can’t seem to figure out a better way to survive without having you right next to me. You are my joy and the reason never to give up in life. Baby, I am doing my best to make you proud, and I know that you are making yourself better for me. I love you both today and forever. The thought of you brings unmeasurable happiness to my inner self. Ever since I came in contact with you, I don’t wish to know how it feels without you in my life. I want you to know that the whole of my heart is dedicated to loving you and from the bottom of my heart, I love you so much. You have given me the best of you, and I must admit, it is the best I have ever seen all through my existence on earth. You are a queen that has all it takes to rule my heart. You have touched me so profoundly than anyone has ever done. You have shown me true love at its peak. You make me weak with your soft words but makes me strong with your care. When I am right next to you, I sometimes lose the right words to let you know what my heart feels. It doesn’t deny my heart the will of letting you know that you are the joy it feels in the morning, afternoon and night. Even if the world is tough on me, I will still smile at the thought of you. What you mean to me I cannot say. Your smile, laughter, and touch are priceless, and I will do anything possible to keep you in my world until the end of time. 41. There is a lot I wish to say to you, but I can’t seem to find the right words to explain it. I have grown to love you more than I have ever loved any woman. From the moment I fell in love with you, I know I was stuck with you for life. It has been the best thing that has ever happened to me because loving you has taught me so much I never knew. I will love you until the end of my life. I have not seen anyone who is worthy of this love. I offer you my love and my heart. I love you, baby. 42. You are the queen who rules my world. Finding you mark a great end of the search for a partner because you have everything my heart desires. You are what I have been praying for all these years. I will love you from tomorrow until the day I am no more. I am offering all of me to you. Love me because your love has been the food for my soul. There is none like you, my princess. I love you forever. 43. I have always loved you with all of my heart and will keep loving you until the end of my days. Wherever you might be right now, I want you to know that you are always on my mind all day and night. Your name is the rhythm of my beating heart. It gives a good feeling to know that you are mine, but it hurt at times to know that you are not here with me. I can’t imagine how it feels to sleep off with you in my arms. I love you so much, and distance cannot take away what I feel. 44. Hey love, you’re one of the most important people in my life, you make the world a better place, baby you bring out the best in me. I’m so grateful and lucky to have you in my life, in my life you’re all that matters, and I want you to know that you’re irreplaceable, you’ve touched my life so deeply than I could imagine. You’re my sunshine, my rare gem, and priceless jewel and I love you so much. 45. It’s a beautiful feeling knowing that you exist in my life, you showed me the true meaning of love, and I’ll forever cherish that. I can’t imagine my life without you, thank you for agreeing to be mine, you’re the most adorable, loving, caring And charming woman I’ve ever known. I’ve never loved anyone as much as I love you, I love you now and forever darling. 46. Every day I wake up with a joyful heart thanking God for blessing me with such a wonderful girlfriend, you’ve given me beautiful memories I’ll forever cherish. Thank you for being with me in good and bad times, I’m not taking any of the things you do for me for granted, I feel so lucky to have such an amazing person as a lover, you’ve shown me the best of life, you’re a treasure I’ll forever cherish. I love you much more than you can imagine. 47. My earth, fire and wind, my love, owner of my heart. Before you came into my life, everything was in a mess now my life has a new meaning. You’re my all in all, my number one woman, I can’t imagine being without you because you’re a vital part of me. Every day my love for you gets deeper, I can’t get tired of you, with you in my life I found true love, inner peace, joy, and happiness. Without you my life is incomplete, you picked my shattered heart and made it whole again, I so much cherish and adore you. I love you to the moon and back baby! 48. Hey gal, the woman of my heart, true love has always been like a fairy tale to me till you came into my life and changed my point of view. You’re the reason why my days are bright and my nights colorful, you’re my superwoman, you make everything feel okay. I love the feeling that comes with being with you, and I don’t regret meeting you for once, your unconditional love is what sustains me and keeps me going when I feel like giving up. You’re my love, my life, and my best friend, and I want to be with you until the end of the time. I love you so much, baby!. 49. My sunshine, you’re the best thing that has ever happened to me, in my life. You’re all that matters, and you’re a treasure in my life that I’ll always cherish, adore, and love forever. I’m happy you’re mine, and I doubt if anyone else can make me feel the way you do, you’re the empress of my empire, you’re more than words can say. Thanks for overwhelming my heart, body, and soul with your love, I love you to the moon and back. 50. Hello beautiful, the one that lights up my world, queen of my heart, my jewel of inestimable value. You’re more than a friend you’re a companion, my pillar, confidant and lover. My life is amazing with you in it, and I couldn’t have pictured a better life without you in it, I keep falling in love with you over and over again. Thank you, darling, for making my life beautiful, thank you for always inspiring me to be the best I can be. I love you beyond words baby!. 51. Beautiful, charming, amazing, loving, priceless are words to describe you. You’re the best woman any man could ever ask for, and I’m so grateful our paths crossed I bless the day I met you because since that day my life has gotten better and brighter. You’re my Woman and my everything, I can’t wait to walk down the aisle with you, I cherish everything about you, and I can’t wait to spend forever with you. 52. My one and only, happiness, peace, joy, and happiness is all I feel when I’m with you, every moment with you feels beautiful and amazing, you’re such a damsel, and I don’t want to let go of you anytime soon. You’re the woman of my dreams, and I’m glad to have the most caring, loving and beautiful woman as my girlfriend. I love you beyond stars honey!. 53. My life has all the wonderful things and people, and you’re one of them, I’m blessed to have the most beautiful and loving woman in my life. You’re my dream come true, and I’ll adore you for the rest of my life, you make every moment in my life memorable. I feel so lucky to have such an amazing person in my life, I wonder what I’ve done to deserve you, I’ve been overwhelmed by your love and I can’t think of a life without you in it. I love you so much, my sweet girl!. 54. Hello beautiful, I just felt like letting you know how special you are to me, I love you so much baby, you’re my friend, darling and lover. The best moments of my life are moments I get to spend with you, I love everything about you, you’re irresistible, charming and adorable. When I first met you I had no idea you’ll mean this much to me but now you’ve gotten to the deepest part of my heart and I so love it. I want to love you for the rest of my life, I can’t wait to walk down the aisle with you. 55. Since I’ve been loving you my life is merry and I’ll be loving you till the end of time, words cannot express the way I feel for you. There’s nothing that makes my life feel beautiful than being by your side and I want to do that for the rest of my life, since the day you accepted my love my life has changed, you’re such an amazing woman and you make my life amazing beautiful and worth living. I love you, baby!. 56. My heartbeat, my life is meaningless without you, you’re my life and my everything. My love for you is an unending journey it has no end, no matter what life throws at us I’ll always be here for you baby. You have no idea how much you mean to me when things ain’t rolling smoothly, just know that you can lean on me. You make my life whole and complete, when I found you I found myself. Thanks for being you I love you so dearly!. 57. I see everything when I look at you, all I ever wanted, all I ever wished for, you’re the answers to my prayers. You’re my early morning dew, my sunrise on the darkest days, you’re what keeps me going, my motivation, my smile maker. It is your happiness that makes me happy, your Joy gives me joy, my greatest desire is to hold you close under my warmth and protect you from the world hoping not to ever let go. Thank God I found you, you’re the one I’ve been waiting for all my life, I love you so much, girl!. 58. Hey girl, I hope when you see this you realize that my love for you is deeper than you can imagine, I adore, cherish and love you. Baby, talk is cheap I know but what are words if you don’t mean them? I promise that my actions will go in line with all my words. I’ll love you for as long as life allow, I won’t go that’s the last thing you should worry about. I love you so much darling, you’re the best girlfriend, anyone, you could ever Ask for. 59. My good Luck charm, your coming into my life has brought me so much love, my life is so beautiful, the works of my hands are prospering. I feel so blessed to have you in my life, my love for you a has no bound, I’ll love you for the rest of my life, my love for you won’t get weary. I want to give you all the love I have in me, I want nobody else but you in my life, you’re my world and you’ll always be mine, I love you, my sweet girl!. 60. My love, the treasure of my heart, your love has strengthened every crooked path. You’ve been with me through thick and thin and I’m grateful for all you do, your love has brightened my morning and made my life colorful. I want to let you know that if it was left for me we’ll never be apart, my greatest desire will be to spend the rest of my life with you. You’re God’s gift to me and I’m not taking your good deeds for granted, I’ll live to cherish and adore you. I Love you, honey!. 61. Baby girl, your presence in my life makes my life meaningful, and I don’t want to ever be without you, my heart, soul and all yearn for you. When I’m in your arms there’s no place I’ll rather be, and you’re one of a kind, I’m so grateful and lucky you accepted me. I always promise to cherish, love, honor and respect you, whatever you want me to do I’ll do for you, whenever you call I’ll be there for you. I love you girl!. 62. What we have is special and worth everything we put in it, we’ve been through good and bad times, thick and thin, we can make it through all the hurdles we encounter because what doesn’t kill you makes you stronger. I want to assure you that whatever comes your way we’ll face it together, as long as I’m alive you won’t have to walk through life alone. Being with you has improved me and made me a better person, I love you sincerely. 63. Thank you for being a wonderful woman in my life, thank you for accepting me And showing me love. It feels great knowing that you’ll always be here for me. I want you to know that I’m always thinking of you, you’re an awesome being, and no one can replace you. Thanks for being the best girlfriend and making me the happiest man on Earth, I love you, sweetie!. 64. I woke up today and I just felt like telling you how great and wonderful you are, you’ve been my rock, my pillar of support, having you by my side makes me forever thankful to God. Having you in my life makes me realize I hadn’t felt happiness before, you’ve made me see how beautiful life can be, thank you for being you, thank you for making this journey of life beautiful. I love you to the moon and back.! 65. My friend, lover, and companion, you have no idea how special you are to me. You’ve been a shoulder to cry on, and you give comfort to my troubled soul. I love the way you talk, the things you say and the way you make it all ok. I’m so glad to have you in my life, meeting you has exposed me to the goodness of life, you took away all the pains and sorrows replaced it with peace and joy. I wouldn’t want you to change anything about you because you’re amazing just the way you are!. 66. My love for you has no bound, with you I’m a fulfilled man, you made me realize with determination and hard work everything is possible. Thanks for being my special adviser, thank you for supporting my dreams. I love you with all of me, with you in my life the world is beautiful. You’re my better half, my angel and the love of my life. I promise to love and cherish you for the rest of my life. 67. Words can’t express the joy I feel knowing that you exist in my life, my angel from above, you’re a rare gem, my beautiful princess and lover. In you, I found a friend, companion, and lover, you’ve magically wiped away sorrow from my life with your contagious smile and love. You loved me when I couldn’t love myself, and you always find a way to lift my spirit when I’m down. Thoughts of you bring a big grin to my face, you made me feel happy and loved and I want to spend the rest of my life with you. I love you beyond the stars darling!. 68. Queen of my heart, you’re my dream come true, you’re everything that I need and more. I wonder what I did right to deserve such a beautiful soul, and I’m completely in love with you. Thank you for treating me right and loving me so well, having you assures me that I’ll never have to face the world alone. I want to let you know right now that I’m going to love and cherish you till eternity, the day we go apart is the day we die, I will never leave you lonely. I love you baby kisses!. 69. Thinking back to the first time I set my eyes on you, meeting you was the best thing ever since I met you my life has been nothing short of merriment. You’re such an incredible being, and you have a pure and loving heart which I’ll forever cherish and adore, you’re such a blessing to me. I felt so lucky and honored to walk through this journey of life with you, and you make everything feel great and amazing. You’re my priceless jewel, and I won’t trade what we have for anything in the world, cheers to the best girlfriend in the entire universe. I love you endlessly!. 70. Sometimes I ask myself what could it be that I did so good that made God rewarded me with you. Before you came into my life my world was in complete darkness, you came in and lighted it up, gave it a new meaning. You’re my sunshine my only sunshine, you make me happy when skies are grey you never know dear how much I love you please don’t take my sunshine away. Baby, you’re one of a kind, you’re a woman every man secretly prays for, I feel so lucky to have you in my life. Thanks for accepting me with all my flaws, thanks for all the love and care, thanks for believing in me even when no one else did. I love you endlessly!. 71. God has given you to me to be my better half, and you’re such a precious gem. I can’t imagine my life without you, how would have crossed the hurdles of life, you’ve always been my support held my hands tight at all times giving me the necessary encouragement I need. With you I can dream of a brighter future, my life is wonderful and sweet, thank you for loving me with all of my heart. I love you so much, darling!. 72. Being in love with you makes me feel like I’ve never been in love before, I never knew love knew love was this beautiful until I met you. You change my world entirely, and you seem to be what my life ever needed, you bring out the most beautiful feeling in me that I never knew existed. You’re my number woman and my love for you is real, it makes me do things I never thought I’d do in my entire life, I’ve never felt this way in my life. I promise I’ll always make you smile, I’ll never leave lonely, I’ll never maltreat you, and I’ll always love you. I want this to last forever, and I love you endlessly!. 73. Counting my blessings and realized you’re the greatest of them, I feel so lucky to have you in my life. I cannot sufficiently thank God enough for blessing me with such a rare gem, and you’re amazing, super and beautiful. The love we share has stood the test of time, and I don’t think of ever giving it up for anything in the world, you’ve shown me genuine love and care. When I think of you and all you do for me I feel so grateful to God for making our paths cross, you’re the best part of my life, I want you to know that you occupy a huge space in my heart. Thank you for your sacrifices, thank you for contributing to what I am today and thank you for loving me unconditionally, I love you forever!. 74. You’re my sugar plum, honey bunch, gumdrop, my sweetie pie. Words are not enough to express how happy I am to have you in my life, you’re my most treasured asset, you’re super amazing and a beautiful soul that I don’t think I’ll ever get tired of loving. Thank you for putting up with my troubles, thank you for ways being there even when I least expected, thank you for brightening up my life, thank you for sharing my life with me. I love you with all of my heart, and I’ll love you till the end of time. 75. I look back at how we started, and I realize how incredible you’ve been, I’m so proud to call you mine, baby girl you’re my dream come true. You’ve made me realize that whatever happens, you’ll always love me, your love smites me, you have no idea how much joy you bring to my heart. My best friend and lover I’ll love you with everything in me, I’ll always be there for you, I’ll never leave you lonely, I’ll always cherish and adore you. My love for you is from the deepest part of my heart. I don’t think I can feel this way about any other, and I love you so much my real life wonder woman. 76. You are my world, and you bring smiles to my face at all time. Your love is an inspiration to me at all time, and I feel happy knowing that you are here for me at all time. Thank you for always adding colors to my world. I can’t stop loving you for anything in the world. I will be your guardian angel at all time, and when I am not around, you will always feel my presence. I love you so so much, my queen. 77. You are one of the amazing things that happened to me. I desire you with all of me because you are the sweetest thing in the world. The sun warms the world, but your love warms my heart. With the thought of you already flooding my heart this morning, I am missing you already. With day with you is an inspiration and motivation to keep living. Have a nice day, my princess. 78. My fate has given you to me because I have always hoped to find someone with so much awesomeness as you. It feels so good to be close to you. I can call you the coolest girl in the world because I feel so much happiness in my heart knowing that you are my woman. you are the tender half of my heart, and I will love you forever. you mean so much to me than you can imagine. There is no going back with my feelings for you. 79. When I think of the most important people in the world, you are the first thing that comes to my heart. I love you so much, and when you are not around me, I feel like my life is missing a part of it. You fill my heart with so much love, and I am not ready to let go of your sweet cozy love. Never let go of my love because I will never let go of you for anything in the world. 80. You are the one so precious to me, and I bless the day I met you. It is the most amazing day of my life. Every second, every day, every week and every month, you will be the girl I will keep loving. I want to feel the warmth of your skin because it is the softest thing I have ever felt. I love you, and I don’t want you to have any doubt about it.